New research looks at how 3D printed skin can be made from a patients own cells and used as a skin graft or other medical treatments. Composed of three primary layers, each containing an eclectic mix of tissues, human skin, though unassuming to the naked eye, is an incredibly complex organ. With a natural layer by layer composition, the skin lends itself to fabrication by 3D printer. The main challenge is developing a way of combining multiple skin tissues at once. Several existing skin regeneration studies have focused on 3D bioprinting with keratinocyte and fibroblast cells capable of developing most of the organ’s necessary tissues. 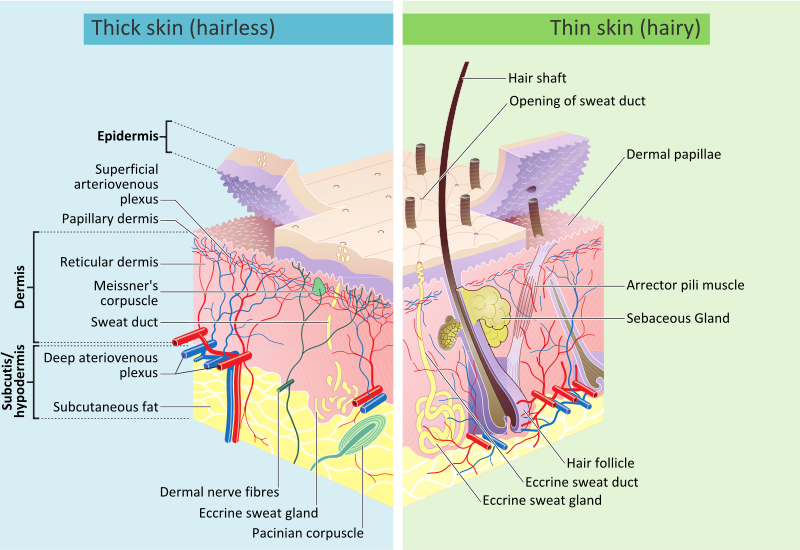 Melanocytes however, that give skin its pigment and UV protection, have been largely overlooked. Studying for a Masters degree in biomedical engineering at the University of Texas at El Paso (UTEP) Corinne Nicole Wittmann made melanocyte 3D bioprinting the subject of her thesis.